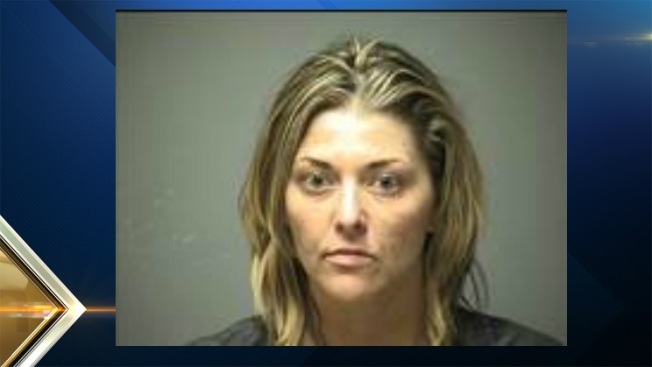 A New Hampshire mother faces several charges after failing a sobriety test that was given to her after she was driving erratically with her child in the car. A concerned caller had dialed police to tell them a female operator appeared to be sleeping while driving. Amy Lemieux, 27, of Goffstown was pulled over on Tuesday night at the corner of Varney and Prescourt Streets. Her four-year-old daughter was in the backseat of the car. After Lemieux failed the field sobriety test, she was placed into custody. A search incident to arrest revelaed she was in possession of several prescription pills and two straws. Police located Buprenorphine Hydrochloride, Clonazapam, Gabapentin and Buspirone. Lemieux is charged with aggravated driving under the influence of drugs/liquor (operating with someone under 16 years of age), reckless conduct and 4 counts of possession of a controlled drug. The youngster was seated in an unsecured car seat, so she was also issued a motor vehicle summons for child restraint. The child's grandmother picked her up at the police station. Lemieux was released on $5,000 cash/surety. She will apppear in court for a probable cause hearing on April 25.